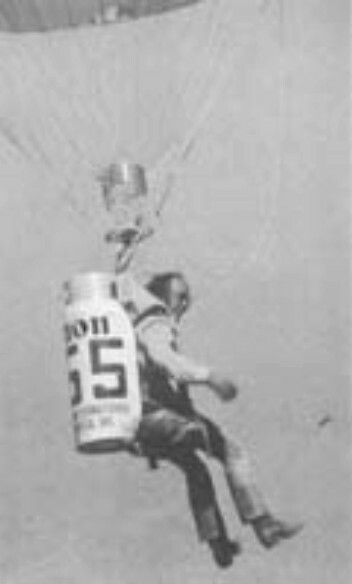 The original (circa 1980) Thunder & Colt Cloudhopper is a 21,000 cu ft single-seater, weighing only 56 kg and carries the pilot strapped to the LPG cylinder. Designed for one person, the Cloudhopper has a 10 Imp.Gal propane tank. The harness also provides restraint when using an emergency parachute system. The single-person hot air Cloudhopper balloons are easy to handle, take off and land in small areas, and are easy to transport - packs into an estate car. The Lindstrand Cloudhopper is constructed from a tubular stainless steel frame fitted with padded fold flat seat, backrest, harness, footrest and removable mirror. 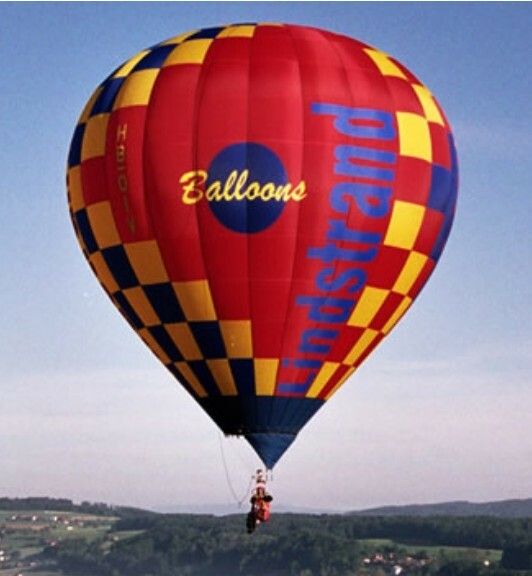 Standard V30 & V40 cylinders can be used with the Lindstrand Cloudhopper. The burner has been specially developed for the cloudhopper and provides attachment to the main framework and to the envelope flying wires. The Lindstrand Cloudhopper is supplied with a choice of envelope sizes; 21A, 25A, 31A, 35A. The design changes incorporate an easy to store inflation handle, wheel option for easy removal from the landing site, and hip protection for those more exciting landings.